Bold Type Books, 9781568585819, 288pp. 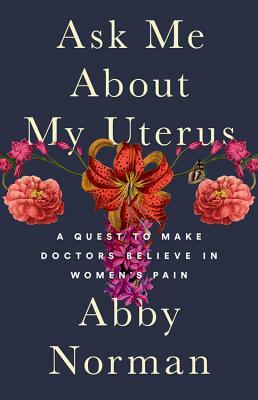 Abby Norman is a science writer and hosts a daily podcast on Anchor.fm. Her work has been featured in the Rumpus, Independent, Paste Magazine, Medium, Atlas Obscura, Seventeen, Quartz, Cosmopolitan, and Lady Science/The New Inquiry. As a patient advocate and speaker, she has been on conference faculty at the Endometriosis Foundation of America, Stanford University's Medicine X conference, and received health literacy training through the Dartmouth Institute. She lives on the coast of Maine with her dog, Whimsy.